I have now learned from Thee, O Lord! of the ordinances relating to Kushandika and the ten Sang-skaras. Do Thou now,O Deva! reveal to Me the ordinances relating to Briddhi Shraddha (1). O Shangkara! tell Me in detail, both for My pleasure and the benefit of all beings, in which of the sacramental and dedicatory ceremonies Kushandika and Briddhi Shraddha should be, or be not, performed. Say this, O Maheshana (2-3). O Gentle One! I have already in detail spoken of all that should be done in the ten Sangskaras commencing from Jiva-seka and ending in marriage (4), and of all that which should be performed by wise men who desire their own weal.O Beauteous One! I will now speak of what should be done in other rites. Do Thou listen to it (5). My Beloved! in consecrating tanks, wells, and ponds, images of Devatas houses, gardens and in vrata, the five Devas and the celestial Mothers should be worshipped, and the Vasu-dhara should be made and Briddhi Shraddha and Kushandika should be performed (6-7). In ceremonies which may be, and are, performed by women alone there is no Briddhi Shraddha, but (in lieu thereof) a present of edibles should be made for the satisfaction of the Devatas and the Pitris (8). O Lotus-faced One! in such ceremonies the worship of the Deva, Vasu-dhara, and Kushandika should be devoutly performed by the women through the aid of priests (9). If a man cannot perform a rite himself, then his son, the son s son, the daughter s son, agnate relatives, sister s son and son-in-law and the priest, are, O Shiva! the best substitutes (10). I will, O Kalika! now in detail speak of Briddhi Shraddha. Do Thou listen to it (11). After performing the daily duties, a man should with mind intent worship Ganga, Vishnu the Lord of Sacrifice, the Divinity of the homestead, and the King (12); and inwardly reciting the Pranava, he should make nine, seven, five, or three Brahmanas of Darbha grass (13). The Brahmanas should be made with ends of the grass which have no knots in them, by twisting the upper ends of the blades from right to left two and a half times (14). May the Divinity of water, who is like the Maya Vija, be propitious for the attainment of our desire. May He be propitious in that which we drink, May He always stand forward for our good (17). Then with scents and flowers the Brahmanas made with kusha grass should be worshipped (18). The wise one should then place on the west and the south six vessels in pairs with kusha, sesamum-seed, and Tulasi (19). On the two vessels placed on the west two of the Brahmanas should be seated facing east, and on the four seats on the south the four Brahmanas should be seated facing north (20). The Divinities should be imagined to be in the two seated on the west and the paternal Ancestors in the two seated on the left of those on the south and the maternal ancestors on the right. Know this, O Parvati (21). In Abhyudayika Shraddha the Nandimukha fathers and the Nandimukhi mothers, as also the maternal Ancestors in the male line and in the female line, should be mentioned by name. Before this, however, one should turn to his right and face the north, and after the performance of the requisite ceremonies for the worship of the Devas he should turn to his left and face the south and perform the rites necessary for the offering of the Pindas (22-23). In this Abhyudayika Shraddha, O Shiva! all the rites should be performed in their order, beginning with the rites relating to the Devas, and if there be any deviation the Shraddha fails in its object (24). The word of supplication addressed to the Devas should be said whilst facing the north, and when the same is addressed to the paternal or maternal Ancestors it should be said whilst facing south. And now, O Thou of pure Smiles! I will first state the words of entreaty which should be addressed to the Devas (25). After mentioning the name of the month and paksha, the tithi and the occasion, the excellent worshipper should say "for the prosperous result of the ceremony." Then he should repeat the names and gotras of the three fathers and of the three mothers, and of the three maternal grandfathers and of the three maternal grandmothers, in the possessive case, and he should thereafter say: "I am performing the Shraddha of the Vishva-Devas represented by the image of the two Brahmanas made of kusha grass." These, O Great Devi! are the words of entreaty" (26-29). I salute the Divinities, the Fathers i.e., the Fathers and Mothers the great Yogis; I salute Pushti and Svaha; may we have such auspicious occasions over and over again. O Water! Thou art the nectar which killest the Rakshasas, protect this sacrifice of mine. Water with Tulasi-leaves and barley should be put into it; and the wise one should, after first offering handfuls of water to the Devas and then to the Vipras, give them seats of kusha grass (34-35). The learned men, O Shiva! should then invoke the Vishva-Devas, the fathers, the mothers, the maternal grandfathers, and the maternal grandmothers (36). Having so invoked them, the Vishva-Devas should first be worshipped; and then the three fathers, the three mothers, the three maternal grandfathers, and the three maternal grandmothers should be worshipped, with offets of Padya, Arghya, Achamaniya, incense, lights, cloths. Then, O Beauteous One! permission should be asked in the first place of the Devas for the spreading of the leaves (37-38). Then a four-sided figure should be drawn uttering the Maya Vija, and then in a similar way for the paternal and maternal sides two figures each should be drawn (39). After these have been sprinkled with the Varuna Vija, leaves should be spread over the figures. These leaves should be sprinkled with the Varuna Vija, and then drinking-water and different kinds of edibles and rice should be distributed in their order (40). "I salute the Divinities," as aforesaid. After this, O Adya! he should take the directions (of the officiating Brahmanas) relating to the disposal of the remnants of edibles and of the Pindas (41-43). Upon receiving the directions of the Brahmana, he should, O Beloved! make twelve Pindas of the size of bael fruits with the remnants of the Akshata and other things (44). He should make one more Pinda equal in size with the others, and then, O Ambika! he should spread some kusha grass and barley on the Nairrita corner of the figure (45). Such of my family as have none to offer Pindas to them whom neither son nor wife survive, who were burnt to death or were killed by tigers or other beast of prey, such kinsmen of mine as themselves are without kinsmen, all such as were my kinsmen in previous births, may they all obtain imperishable satisfaction by the Pinda and water hereby given by me (46-47). and so forth, three times, and then make the square (48). O Devi! the wise man should in front of the vessels containing the remnants of the offerings make such squares in twos (for his Ancestors), beginning with the paternal Ancestors (49). O Shive! he should then sprinkle the squares with water with the Mantra already prescribed, and then spread kusha grass over them and sprinkle them with the Vayu Vija (49), beginning with the kusha spread on the square for the paternal (male) Ancestors, and then offer three Pindas, one at the top, another at the bottom, and one in the middle, in each of the squares (50). Ong, may the Lepa-bhoji Ancestors be pleased. In Ekoddishta Shraddha the offering to the Lepa-bhoji Ancestors is not made (52). My father is my highest Dharmma. My father is my highest Tapas. My father is my Heaven. On my father being satisfied, the whole Universe is satisfied (55). Give me your blessings, O Merciful Pitris. May my knowledge, progeny, and kinsmen always increase. May my benefactors prosper. May I have food in profusion. May many always beg of me, and may I not have to beg of any (57-58). Then he should remove the Devas and Brahmanas made of kusha grass, as also the Pindas, commencing with the Devas. The wise one should then make presents to all three (59). "It has been completed according to the injunctions" (61). and then the food and drink in the vessels should be offered to the officiating Brahmana (62). In the absence of a Vipra, it should be given to cows and goats, or should be thrown into water. This is called "Vriddhi Shraddha," enjoined for all obligatory sacramental rites (63). Shraddha performed on the occasion of any Parvvan is called "Parvvana Shraddha" (64). In ceremonies relating to the consecration of emblems or images of Devas, or while starting for or returning from pilgrimage, the Shraddha should be according to the injunctions laid down for Parvvana Shraddha (65). On the occasion of Parvvana Shraddha the Pitris should not be addressed with the prefix "Nandimukha," and for the words "Salutation to Pushti" should be substituted the words "Salutation to Svadha" (66). O Beautiful One! if any of the three Ancestors be alive, then the wise one should make the offerings to another Ancestor of higher degree (67). If the father, grandfather, and great-grandfather be alive, then, O Queen of the Devas! no Shraddha need be performed. If they are pleased, then the object of the funeral rite and sacrifice is attained (68). If his father be living, then a man may perform his mother s Shraddha, his wife s Shraddha, and Nandi-mukha Shraddha; but he is not entitled to perform the Shraddha of anyone else (69).O Queen of the Kula! at the time of Ekoddishta Shraddha the Vishva-Devas are not to be worshipped. The word of entreaty should be addressed to one Ancestor only (70). At the time of Ekoddishta Shraddha cooked rice and Pinda should be given whilst facing south. The rest of the ceremony is the same as that which has been already described, with the exception that sesamum should be substituted for barley (71). The peculiarity in Preta Shraddha is that the worship of Ganga and others is omitted, and in the framing of the Mantra the deceased should be spoken of as Preta whilst rice and Pindas are offered to him (72). The Shraddha performed for one man is called "Ekoddishta." In offering Pinda to the Preta, fish and meat should be added (73). O Mistress of the Kula! know this, that the Shraddha which is performed on the day following the end of the period of uncleanliness is Preta Shraddha (74). If there is a miscarriage, or if the child dies immediately on birth, or if a child is born or dies, then the period of uncleanliness is to be reckoned according to the custom of the family (75). The period of uncleanliness in the case of the twice-born is ten days (for Brahmanas), twelve (for Kshatriyas), and a fortnight (for Vaishyas); for Shudras and Samanyas the period is one month (thirty days) (76). On the death of an Agnate who is not a Sapinda, the period of uncleanliness is three days, and on the death of a Sapinda, should information of it arrive after the period prescribed, one becomes unclean for three days (77). The unclean man, O Primordial One! is not entitled to perform any rite relating to the Devas and the Pitris, excepting Kula worship and that which has been already commenced (78). Persons over five years of age should be burnt in the burning-ground, but, O Kuleshani! a wife should not be burnt with her dead husband (79). Every woman is Thy image Thou residest concealed in the forms of all women in this world. That woman who in her delusion ascends the funeral pyre of her lord shall go to hell (80). Kalika! the corpses of worshippers of Brahman should be either buried, thrown into running water, or burnt, according as they may direct (81). Ambika! death in a holy place or a place of pilgrimage, or near the Devi, or near the Kaulikas, is a happy one (82). He who at the time of his death meditates on the one Truth, forgetful of the three worlds, attains to his own Essential Being (83). After death the corpse should be taken to the burning-ground, and when it has been washed it should be smeared with ghee and placed on the pyre, with the face to the north (84). The deceased should be addressed by his name, and Gotra and as Preta. Giving the Pinda to the mouth of the corpse, the pyre should be lighted by applying the torch to the mouth of the corpse, inwardly the while reciting the Vahni Vija (85). Beloved! the Pinda should be made of boiled or unboiled rice, or crushed barley, or wheat, and should be of the size of an emblic myrobalam (86). To the eldest son of the Preta is given the privilege of performing the Shraddha; in his absence to the other sons, according to the order of their seniority (87). The day after the day upon which the period of uncleanliness expires, the mourner should bathe and purify himself, and give away gold and sesamum for the liberation of the Preta (88). The son of the Preta should give away cattle, lands, clothes, carriages, vessels made of metals, and various kinds of edibles, in order that the Preta may attain Heaven (89). He should also give away scents, garlands, fruits, water, a beautiful bed, and everything which the Preta himself liked to insure his passage to Heaven (90). Then a bull should be branded with the mark of a trident, and decorated with gold and ornaments, and then let loose, with the object that the deceased may attain Heaven (91). He should then with a devout spirit perform the Shraddha, according to the injunctions laid down for the performance of Preta Shraddha, and then feed Brahmanas and Kaulas possessed of Divine knowledge, and the hungry (92). The man who is unable to make gifts should perform the Shraddha to the best of his ability, and feed the hungry, and thus liberate his father from the state of existence of a Preta (93). This Preta Shraddha is known as Adya or Ekod-dishta Shraddha, and it liberates the deceased from the state of Preta. After this every year on the tithi of his death edibles should be given to the deceased (94). There is no necessity for a multitude of injunctions nor for a multitude of rituals. Man may attain all siddhi by honouring a Kaulika. The object of all Sangskaras is completely attained if, in lieu of the prescribed Homa, Japa, and Shraddha, even a single Kaulika is duly honoured (96), at the time of the ceremony. 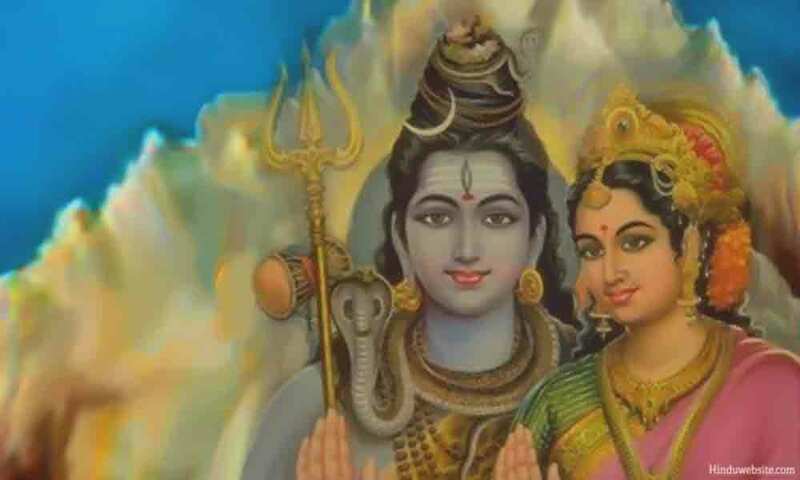 The injunction of Shiva is that all auspicious ceremonies should be performed between the period beginning with the fourth day of the light half of the lunar half-month, and ending on the fifth of the dark half-month (97). He, however, who is desirous of performing any rite which must be performed may perform it even on an inauspicious day, provided he be so directed by his Guru, by a Ritvij, or a Kaulika (98). A Kaulika should commence the building of a house, should first enter a house, start on a journey, wear new jewels, and the like,only after worshipping the Primordial One with the five Elements (99). Or the excellent worshipper may shorten the rite. He may thus, after meditating on the Devi, and inwardly reciting the Mantra and bowing to the Devi, go wherever he may desire (100). In the worship of all Devatas, such as the Autumnal Festival and others, dhyana and puja should be performed according to the ordinances laid down in the Shastras relating to such worship (101). According to the ordinances relating to the worship of the Primordial Kali, animal sacrifice and Homa should be performed, and the rite should be brought to an end by the honouring of Kaulikas and making of offerings (102). The general rule is that Ganga, Vishnu, Shiva, Suryya, and Brahma should first be worshipped, and then the Deva the special object of worship (103). The Kaulika is the most excellent Dharmma, the Kaulika is the most excellent Deva, the Kaulika is the most excellent pilgrimage, therefore should the Kaula be always worshipped (104). The three and a half kotis of Places of Pilgrimage, all the Devas beginning with Brahma Himself, reside in the body of the Kaula. What, therefore, is there which is not attained by worshipping him? The land in which the good and fully initiated Kaula resides is blessed and deserving of honour. It is most holy, and is coveted even by the Devas (105-106). Who can in this world understand the majesty of the fully initiated Sadhaka, who is Shiva Himself, and to whom there is nothing either holy or sinful? (107). Such a Kaula, possessing merely the form of man, moves about this earth for the salvation of the entire world and the instruction of men in the conduct of life (108). Thou hast, O Lord! spoken of the greatness of the Soul of the fully initiated Kaula. Do Thou in Thy mercy speak to Me of the ordinances relating to such initiation (109). In the three Ages this rite was a great secret. ; men then used to perform it in all secrecy, and thus attain liberation (110). When the Kali Age prevails, the followers of Kula rite should declare themselves as such, and, whether in the night or the day, should openly be initiated (111). By the mere drinking of wine, without initiation, a man does not become a Kaula. The Kula worshipper becomes the Lord of the Kula Chakra only after full initiation (112). The Guru should, the day before the initiation, worship the Deva of Obstacles with offerings, according to his ability for the removal of all obstacles (113). If the Guru is not qualified to officiate at a full initiation ceremony, then it should,O Beloved! be performed by a duly initiated Kaula (114). Gang is the Vija of Ganapati (Ganesha) (115). Ganaka is the Rishi, the Chhanda is Nivrit, the Lord of Obstacles is the Devata, and the Mantra is applicable for the removal of obstacles to the performance of the rite (116). Adding successively six long vowels to the Mula Mantra, Shadanga-nyasa should be performed, and O Shiva! after doing Pranayama let Ganapati be meditated upon (117). Meditate on Gana-pati as of the colour of vermilion, having three eyes, a large belly, holding in His lotus-hands the conch, the noose, the elephant-goad, and the sign of blessing. His great trunk adorned with the jar of wine which it holds. On His forehead shines the young Moon. He has the head of the King of elephants; His cheeks are constantly bathed in wine. His hody is adorned with the coils of the King of servants. He is dressed in red raiment, and His body is smeared with scented ointments (118). Having thus meditated upon Ganapati, he should be worshipped with mental offerings, and then the protecting power of the seat should be worshipped. These are Tibra, Jvalini, Nanda, Bhoga-da, Kama-rupini, Ugra, Tejasvati, Satyi, and Vighna-vinashini. The first eight should be worshipped in their order, beginning from the east, and the last should be worshipped in the middle of the Mandala. Having thus worshipped them all, the lotus-seat itself should be worshipped (119-120). Meditating on Ganesha once again, He should be worshipped with offerings of the five elements. On each of His four sides should the excellent Kaulika worship Ganesha, Gana-nayaka, Gana-natha, Gana-krida, Eka-danta, Rakta-tunda, Lambodara, Gajanana, Mahodara, Vikata, Dhumrabha, and Vighna-nashana (121-123). Then the eight Shaktis, Brahmi, and others, and the ten Dikpalas and their weapons, should be worshipped, and after that Vighna-raja should be bidden to depart (124). Having thus worshipped the King of Obstacles, the worshipper should perform the preliminary ceremony, and then entertain the Kaulas versed in divine knowledge with the five elements (125). The next day, having bathed and performed his ordinary daily duties as already enjoined, he should, O Beloved! give away sesamum-seed and gold for the destruction of all sins from his birth, and a bhojya for the satisfaction of the Kaulas (126). Then, giving arghya to Suryya, and having worshipped Brahma, Vishnu, Shiva, and the nine Planets, as also the sixteen divine Mothers, he should make a Vasu-dhara (127). Save me, O Lord! thou that art the Sun of the Kaulas. Protect my head, O Ocean of Mercy! with the shade of thy lotus-foot (129). Grant us leave, O Exalted One! in this auspicious Purnabhisheka that by thy grace I may attain the success of my undertaking without any hindrance (130). My son! be thou, by the permission of the Shiva-Shakti, initiated with the full initiation. May thou attain the object of thy desire by the command of Shiva (131). Having thus obtained the permission of the spiritual Preceptor, he should make the Sangkalpa for the removal of all obstacles and for the attainment of long life, prosperity, strength, and good health (132). The Sadhaka, having solemnly formed his resolve, should worship the Guru, by presenting him with clothes and jewels, and karana with Shuddhi, and do honour to him (133). The Guru should then make with earth an altar four fingers in height and measuring one and a half cubit either way in a beautiful room painted with red earth, etc., decorated with pictures, flags, fruits, and leaves, and strings of small bells. The room should have a beautiful ceiling-cloth, lighted with lines of lamps fed with ghee to dispel all traces of darkness, and should be scented with burning camphor, incense-sticks, and incense, and ornamented with fans, fly-whisks, the tail feathers of the peacock, and mirrors, etc., and then he should with rice powdered and coloured yellow, red, black, white, and dark blue draw Mandala called Sarvato-bhadra, beautiful and auspicious in every way (134-138). Then each person should perform the rite preparatory to mental worship, according to his Sangkalpa, and then, having made mental worship, should purify the five elements with the Mantra previously mentioned (139). After the Pancha-tattvas have been purified, the jar, which must be either of gold or silver or copper or earth, should be placed with the Brahma Vija on the Mandala. It should be washed with the Weapon Mantra and smeared with curd, Akshata, and then a vermilion mark should be placed on it with the Mantra "Shring" (140-141). He should then recite three times the letters of the alphabet, with the Vindu superposed from Ksha to A, and recite inwardly the Mula Mantra, and fill the jar with wine or water from some holy place, or with ordinary pure water, and then throw into the jar nine gems or gold (142-143). The merciful Guru should then place over the mouth of the jar a leafy branch of a Jack-tree, a Fig-tree, an Ashvattha-tree, and of a Vakula and Mango-tree, with the Vagbhava Vija (144). He should then place on the leafy branch a gold, silver, copper, or earthen platter, uttering the Rama Vija and Maya Vija (145). Then, O Beauteous One! two pieces of cloth should be tied to the neck of the jar. When worshipping Shakti the cloth should be of a red colour, and in the worship of Shiva and Vishnu it should be white (146). the jar should be fixed in its place, and after putting into it the Pancha-tattvas the nine cups should be placed in their order (147). The Shakti Patra should be of silver, the Guru Patra of gold, the Shri Patra should be made of the human skull, the rest of copper (148). Cups made of stone, wood, and iron should be rejected; the material of the cups in the worship of the Maha-Devi should be according to the means of the worshipper (149). After placing the cups, libations should be offered to the four Gurus and the Devi, and the wise one should then worship the jar filled with nectar (150). Lights and incense should then be waved and sacrifices made to all beings, and after worshipping the divinities of the pitha he should perform Shadangganyasa (151). He should then do Pranayama, and, meditating on the Great Devi, invoke Her, and thereafter worship Her, the Object of his worship, to the best of his ability and without niggardliness (151). The excellent Guru, O Shiva! should perform all the rites ending with Homa, and then honour the Kumaris and worshippers of Shakti by presenting them with flowers, sandal-paste, and clothes (153). O you Kaulas! who are vowed to Kula-worship, be kind to my disciple. Do you give your permission to his Sangskara of Purnabhisheka (154). The Lord of the Chakra, having thus asked those present, should respectfully say: "By the grace of Mahamaya and the majesty of the Supreme Soul, may thy disciple be perfect and devoted to the Supreme Essence" (155). Rise, O Brahma-kalasha, thou art the Devata and grantest all success. May my disciple, being bathed with thy water and leaves, be devoted to Brahman (156-157). Having moved the jar in this manner, the Guru should mercifully sprinkle the disciple seated with his face to the North with the Mantra about to be spoken (158). The Rishi of the Mantra of this auspicious Purnabhisheka rite is Sadashiva, the presiding Devata is the Adya Devata, the Vija is "Ong," and its applicability is for the auspicious sprinkling on the occasion of the Purnabhisheka ceremony (158-159). May the Gurus sprinkle thee. May Brahma, Vishnu, and Maheshvara sprinkle thee; may the Mothers Durga, Lakshmi, Bhavani, sprinkle thee; may Shodashi, Tarini, Nitya, Svaha, Mahisha-mardini, all these sprinkle thee with the water that has been sanctified by the Mantra; may Jaya-durga, Vishalakshi, Brahmani, Sarasvati, may all These sprinkle thee; may Bagala, Varada, and Shiva sprinkle thee; may the Shaktis, Narasinghi, Varahi, Vaishnavi, Vana-malini, Indrani, Varuni, Raudri, sprinkle thee; may Bhairavi, Bhadra-kali, Tushti, Pushti, Uma, Kshama, Shraddha, Kanti, Daya, Shanti, always sprinkle thee; may Maha-kali, Maha-lakshmi, Maha-nila-sarasvati, Ugra-chanda, Prachanda, constantly sprinkle thee; may Matsya, Kurma, Varaha, Nrisingha, Vamana, Rama, Bhrigu-Rama, sprinkle thee with water; may Asitanga, Ruru, Chanda, Krodhonmatta, Bhayangkara, Kapali, Bhishana, sprinkle thee; may Kali, Kapalini, Kulla, Kurukulla, Virodhini, Viprachitta, Mahogra, ever sprinkle thee; may Indra, Agni, Shamana, Raksha, Varuna, Pavana, Dhana-da, Maheshana, who are the eight Dikpalas, sprinkle thee; may Ravi, Soma, Mangala, Budha, Jiva, Sita, Shani, Rahu, Ketu, with all their Satellites, sprinkle thee; may the stars, the Karanas, the Yogas, the Days of the Week, and the two Divisions of the Month, the Days, Seasons, Months, and the Year anoint thee always; may the Salt Ocean, the Sweet Ocean, the Ocean of Wine, the Ocean of Ghee, the Ocean of Curd, the Ocean of Milk, the Ocean of Sweet Water sprinkle thee with their consecrated waters; may Ganga, Yamuna, Reva, Chandra-bhaga, Sarasvati, Sarayu, Gandaki, Kunti, Shveta-ganga, Kaushiki, may all these sprinkle thee with their consecrated waters; may the great Nagas beginning with Ananta, the birds beginning with Garuda, the trees beginning with the Kalpa tree, and the great Mountains sprinkle thee; may the beneficent Beings residing in Patala, on the earth, and in the air, pleased at this hour of thy Purnabhisheka, sprinkle thee with water (160-175). May thy ill-luck, bad name, illness, melancholy and sorrows be destroyed by the Purnabhisheka, and by the glory of the Supreme Brahman (176). May Alakshmi, Kala-karni, the Dakinis, and the Yoginis, being driven away by the Kali Vija, be destroyed by the Abhisheka (177). May the Bhuta, Preta, Pishachas, and the maleficent Planets be driven out, put to flight, and destroyed by the Rama Vija; may all misfortune caused thee by magic and by the incantations of thy enemies, may all thy transgressions of mind, word, and body be destroyed as the result of this initiation; may all thy adversities be destroyed, may thy prosperity be undisturbed, may all thy desires be fulfilled as the result of this Purnabhisheka (178-180). With these twenty-one Mantras the disciple should be sprinkled with water; and if he has obtained already the Mantra from the mouth of a Pashu, the Guru should make him hear it again (181). The Kaulika Guru should, having informed the worshippers of Shakti, call his disciple by his name and give him a name ending with Anandanatha (182). Being thus initiated in the Mantra by the Guru, the disciple should worship his Ishta-devata in the Yantra (of the Guru), and then honour the Guru by presenting him with the Pancha-tattvas (183). The disciple should also give as Dakshina cows, land, gold, clothes, drinks, and jewels to the Guru, and then honour the Kaulas, who are the very embodiments of Shiva (184). Holy Lord! Thou art the Lord of the world. Lord! thou art my Lord.O Ocean of Mercy! do Thou gratify my heart s desire by the gift of the excellent nectar (186). "Give me leave, O Kaulas! you who are the visible images of Shiva Himself, that I may give to my good and humble disciple the excellent nectar" (187). "Lord of the Chakra! thou art the Supreme Lord Himself, Thou art the Sun of the Kaula lotus. Do Thou gratify this good disciple, and give him the Kaula nectar" (188). The Guru, having obtained the leave of the Kaulas, should place in the hand of the disciple the drinking-cup filled with the excellent nectar, as also the Shuddhi (189). The Guru should then, devoutly meditating on the Devi in his heart, place the tilaka on the forehead of the disciple, as also of the Kaulas, with the ashes adhering to the sacrificial spoon (190). Let the Guru then distribute the Tattvas offered to the Devi, and partake of the food and drink as directed in the injunctions relating to the formation of Chakra (191). O Devi! I have spoken to Thee of the auspicious rites relating to Purnabhisheka. By this one attains divine knowledge and becomes Shiva Himself (192). The Purnabhisheka should be performed for nine or seven or five or three or one night (193). There are, O Kuleshani! five different forms in this purificatory rite. In the rite which lasts nine nights the Mandala known as Sarvato-bhadra should be made (194). Beloved! in the rite which lasts seven nights the Mandala Nava-nabha, in the rite which lasts five nights the Mandala Panchabja, in the rite which lasts three nights and in the rite which lasts one night the Mandala of eight-petalled lotus should be respectively made (195). O Devi! the injunction is that on the Sarvato-bhadra and Nava-nabha Mandalas nine jars should be placed, on Panchabja Mandala five, and on Ashta-dalabja Mandala one jar, and the Angga-Devatas and the Avarana-Devatas should be worshipped in the filaments and other parts of the lotuses (196-197). The Kaulas who have been fully initiated are pure of soul. All things are purified by their looking, touching, and by their smelling them (198). All men, whether they are Shaktas, Vaishnavas, Shaivas, Sauras, or Ganapatas, should worship the Kaula Sadhu with devotion (199). It is good for a Shakta to have a Guru who is a Shakta, for a Shaiva a Shaiva Guru is commendable, and for a Vaishnava a Vaishnava, for a Saura a Saura as Guru is advised, and a Ganapata is the proper Guru for a Ganapata, but a Kaula is excellent as Guru in the case of all; therefore the wise one should with all his soul be initiated by a Kaula (200-201). Those who worship the Kaulas with Pancha-tattva and with heart uplifted cause the salvation of their Ancestors, and themselves attain the highest end (202). The man who has obtained the Mantra from the mouth of a Pashu is of a certainty a Pashu, and he who has obtained the Mantra from a Vira is a Vira, and he who obtains it from a Kaula knows the Brahman (203). One who has been initiated according to Shakta rites is a Vira; he may purify the Pancha-tattvas only in the worship of his own Ishta-devata, he may never be the Chakreshvara (204). He who kills a Vira, he who drinks wine which has not been consecrated, he who seduces the wife of or steals the property of a Vira, these four are great sinners, and the man who associates with any of these is the fifth sinner (205). Those evil-natured men who disparage the Kula Way, Kula articles, and the Kula worshipper go down the low and vile path (206). The Rudra-dakinis and Rudra-bhairavis dance in joy (at the thought of) chewing the bones and flesh of men who hate wine and the Kaulas (207). They are merciful and truthful, and ever desire the good of others, for such as slander them there is no escape from Hell (208). I have in the various Tantras spoken of various ceremonies and of many repetitions of practices; but in the case of a Kaula who is devoted to the Brahman, it is a matter of indifference whether he practises or omits them (209). There is one Supreme Brahman Who exists, spread throughout the Universe (or any part of it). He is worshipped, because there is nothing which exists apart from Him (210). Beloved! even those who look to the fruit of action and are governed by their desires and by the worship of different Devas, and addicted to worldly pursuits, go to and become united with Him (211). He who sees everything in Brahman, and who sees Brahman everywhere, is undoubtedly known as an excellent Kaula, who has attained liberation while yet living (212). End of the Tenth Joyful Message, entitled "Rites relating to Vriddhi Shraddha, Funeral Rites, and Purnabhisheka."